Your website content is the most important element you have to offer to your visitors. Not only for your visitors. Search engines are starting to recognize the quality of content. SEO content writing is becoming an important factor to search engine ranking. Since the release of Google's Panda update. Google has tightened their leash on the quality of content you are producing. Keeping your site's content consistent will not only keep your visitors happy but help you rank higher in search engines. Your website content is the heart of your website. Let's put ranking in search engines aside and look at the big picture. People search the internet for information. If your website doesn't produce what they are looking for, or answer their question. It doesn't matter where you rank. They are never going to use your site. Having a visitors bounce and not venture into your website doesn't help anyone. It won't help you make money, sell products, or create leads. Not only do you need a strong topic and great content. It needs to be across your whole site. You will always have evergreen content and pages that perform better than others. But your site needs to hold a certain standard. Double check your spelling and grammar. These can easily be overlooked and mistyped. I've even had pages up for months before I noticed obvious typos. It's better to use an editor like Hemingway or Grammarly. As your website's design doesn't necessarily affect your content, it can help or hurt it. Your readers are visual people. Your design can help enhance your content and make it more appealing. Adding infographics, icons, and pictures can help enhance your content's information. It can also hurt your content. If you have great content but your site is hard to use or your layout is unreadable. This can deter people from your site. Don't make some of the web design mistakes that others do. 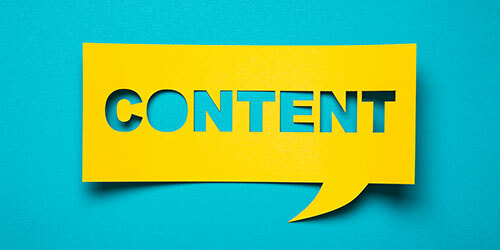 Your content is your backbone of your search engine optimization (SEO). Search engine bots love to eat content. It is their sure way to know what your site is about. There are hundreds of ranking factors that they look at to determine your rank. As their algorithms get more sophisticated content is becoming a higher ranking standard. How can my content be ready for future updates? Your content doesn't need to win any noble prizes. Making it useful with detailed information is a sure fire way. Again, watch your spelling and grammar. Adding other elements to your content have been a proven way to increase your authority. YouTube videos, links, bullet points, and images are great ways to enhance your content. You don't need all of them in every piece, but a few will help. When you are SEO content writing you always want to maximize your search ranking potential. Keep in mind that you are writing for people and not a computer. Everyone gets caught up in SEO and trying to increase traffic. At the end of the day, people are going to be reading our content. Make it useful and informational and the computers will follow.